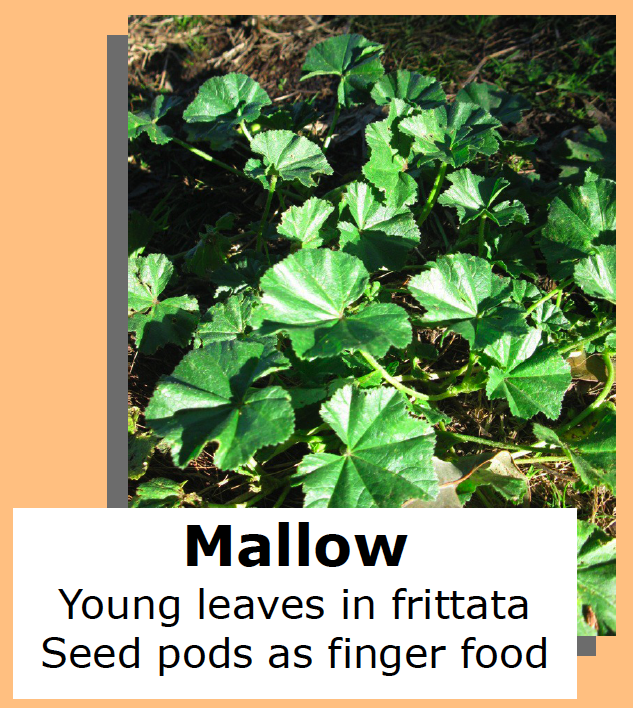 This entry was posted in Uncategorized and tagged mallow, malva, medicine, wild food on November 17, 2013 by admin. Description: A green leafy perennial herb, it can be 2 m high and 45 cm wide. 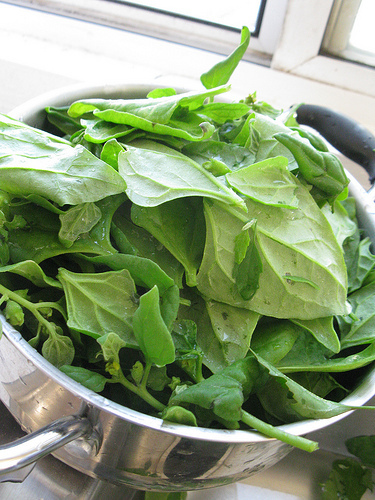 The leaves are very fine , have a feathery appearance and when crushed they smell like aniseed. The stems are ribbed and at the bottom of the stalks there is a broad green section. The flower at the top is a group of small yellow flowers. The seeds are oval and ribbed and about 5 mm long. 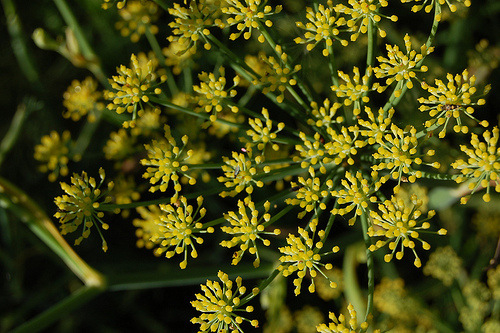 Ripe fruit are wingless which distinguishes it from dill. There are several named cultivated varieties. Description: A creeping or erect herb. It keeps growing from year to year. It grows 20 cm high. The stems are creeping and hairless and root at the nodes. The leaves have 3 leaflets. 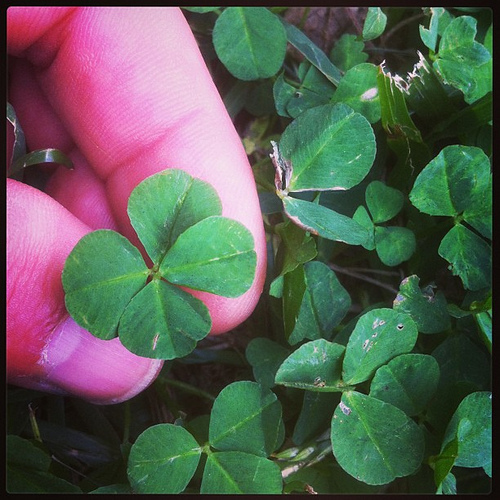 The leaflets can be oval or heart shaped. They have a dent in at the ends. They are hairless. They are on long stalks and usually have a white band. The flowers are white and in a round head. It is on a stalk that is longer than the leaves. The pods are narrowly oblong. They are 4-5 mm long. There are 2-5 seeds. Description: A perennial branched herb. It starts growing erect but after this lies over. 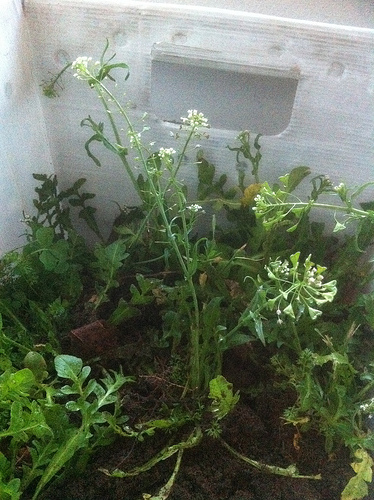 It then grows along the ground up to 12 cm high. 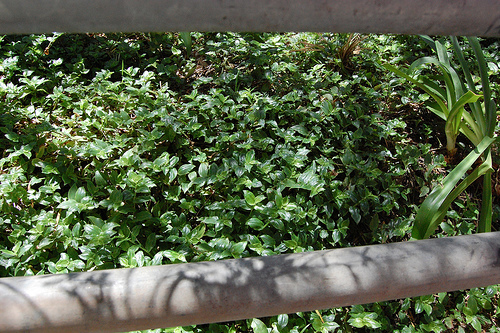 The stems can spread out to 1 m along the ground. 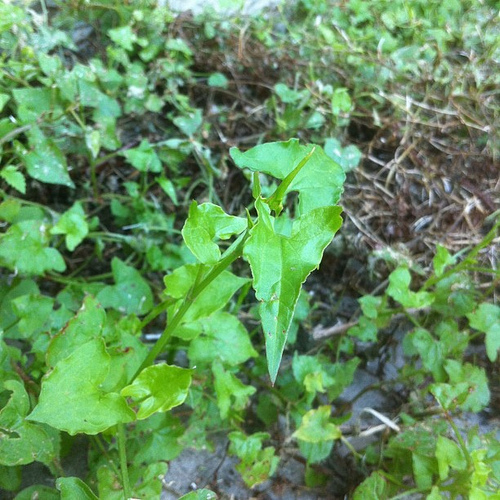 The leaves are small and thick on round fleshy stems, triangle shaped, 4-6 cm long. They have distinct veins underneath. The flowers are yellow and 8 mm across and are hidden at the base of the leaves. The fruit is up to 1 cm long and with 4 or 5 horns on top. Description: A creeper, keeps growing from year to year up to 2 m high. The leaves are smooth and arrow-shaped. They are 3-7 cm long. They are pale green and soft. The flowers develop clusters of papery capsules about 1 cm wide changing from pale green to reddish-brown when mature. Description: An erect annual hairy herb with a milky sap. 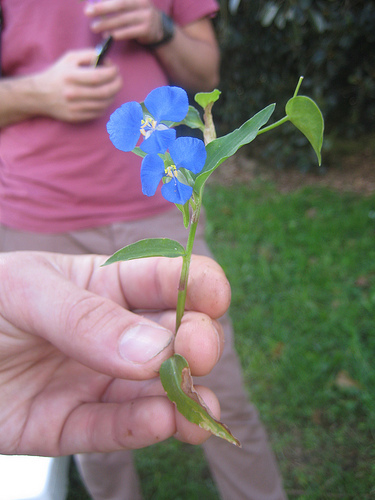 It is 40 to 60 cm high, bluish-green, the leaves are alternate, do not have stalks and half clasp the stem. Leaves are 10 to 20 cm long and very coarsely lobed. Flower heads are about 1 cm long and yellow. The fruit is dry and 3 ribbed, it opens to a round white ball. The seeds blow in the wind. Description: A cabbage family herb. It is an annual plant or it can take 2 years to complete its life cycle. The stem is erect. It grows to 60 cm high. 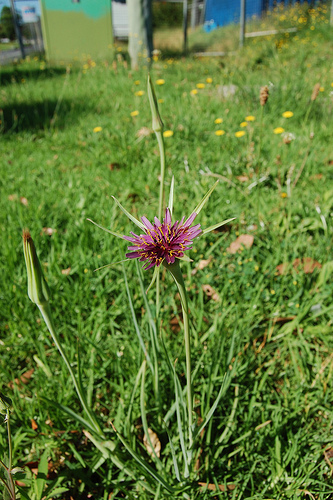 It has a rosette of leaves near the base. 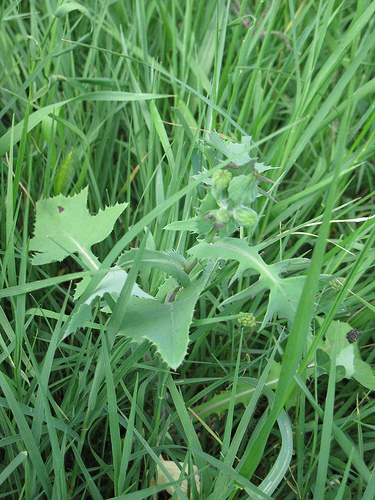 The leaves vary in shape and are toothed along the edge. The upper leaves are smaller, sword shaped and without stalks. The flowers are white. They are in clusters at the ends of branches. The fruit is a flat, triangular, pod.